& accessories for the stylish country girl. Custom Designs are What We Do! Are you searching for a custom-designed wedding dress, prom gown, or bridesmaid’s dress in traditional fabrics? We can help. 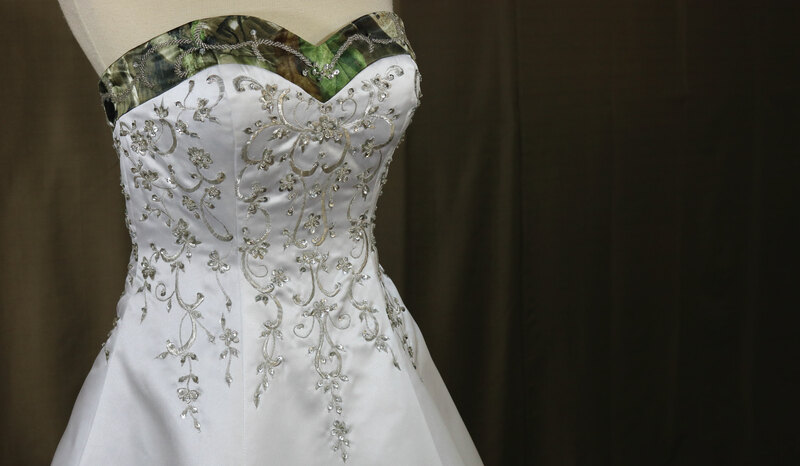 We also custom design wedding gowns with a touch of camo, camouflage prom dresses, and homecoming gowns. 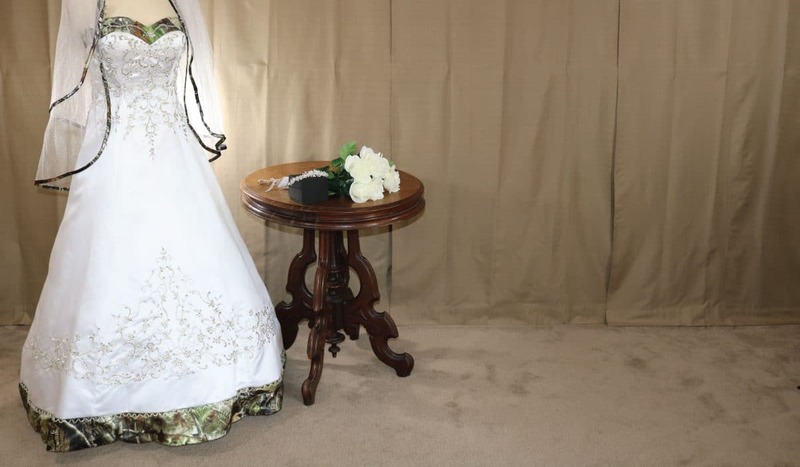 All of our wedding gowns, bridesmaids’ dresses, and prom dresses are made to the same specifications as designer gowns at well-known bridal boutiques. The majority of our attire is sewn in our factory, and we also have several local seamstresses who sew simpler styles and smaller items. A Touch of Camo focuses on your individual desires, and we pride ourselves on providing top-notch customer service. We have been helping our brides design their own wedding gowns since 2006. 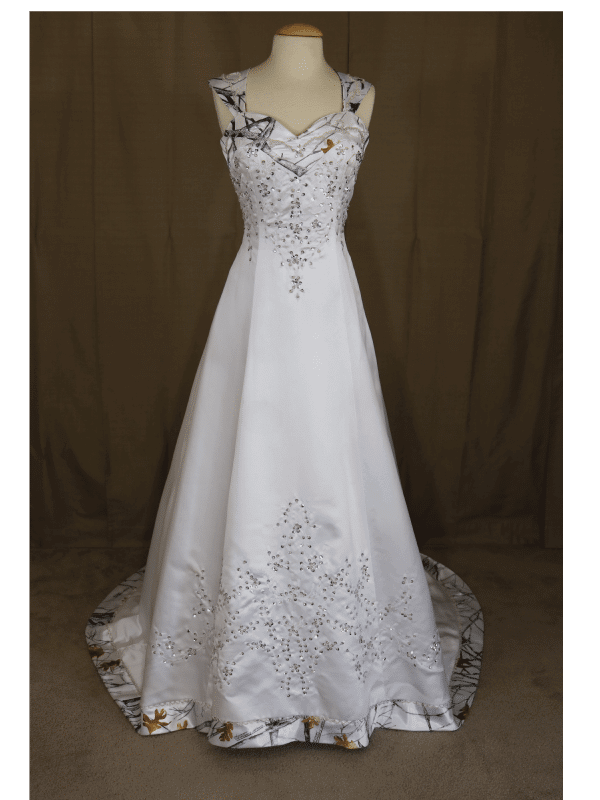 When designing a dress you will always work directly with the owners, who have approximately 40 years’ experience in the bridal and formalwear industry. To ensure your complete satisfaction, we will stay in touch with you throughout the designing, ordering and sewing process. Please take a few minutes to browse the site and view our styles. We appreciate you trusting us to design the dress of your dreams during this important time in your life and look forward to working with you. Our men’s vests, long ties, bow ties, and cummerbunds, along with attire for little boys and girls, can also be ordered in traditional or camo fabrics. 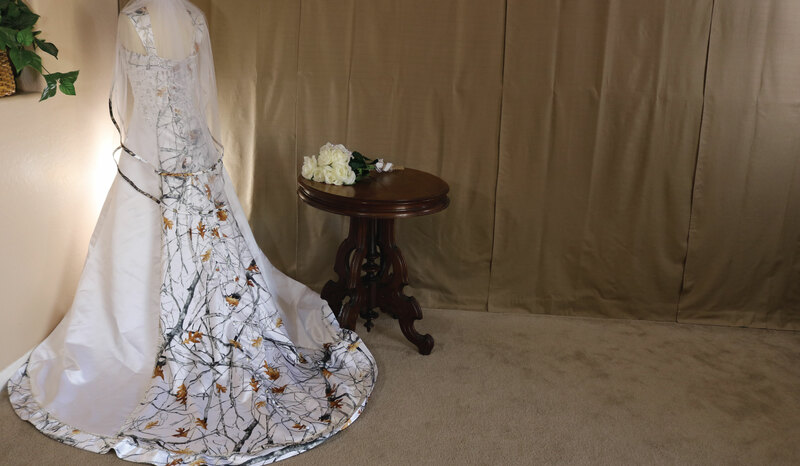 A new collection of custom made gowns and dresses for military weddings and military balls that can be accented with items to match your guy’s dress uniform is due by summer 2019. Every item is custom—you can choose a totally new design, or choose a design from our existing collection. 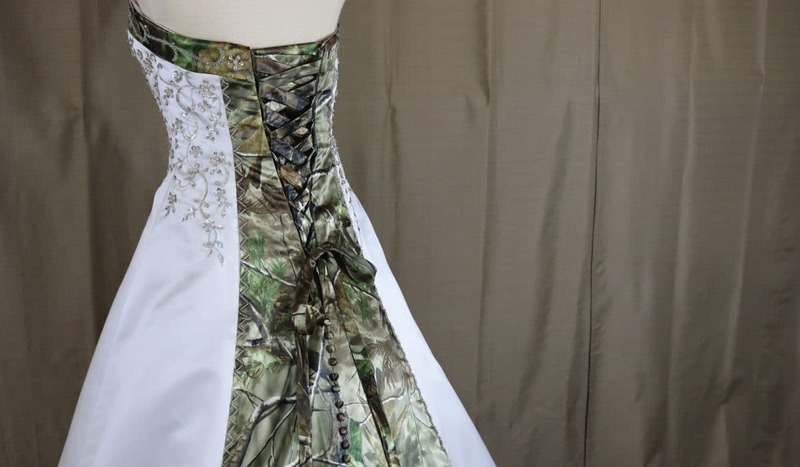 Except for a few in-stock samples, our existing styles allow brides and prom gals to choose solid colors, camo patterns, laces, embroidery colors, and more (depending on options listed for individual styles). Whichever option you choose, custom new design or customizing an existing style, the final gown is very much uniquely yours!